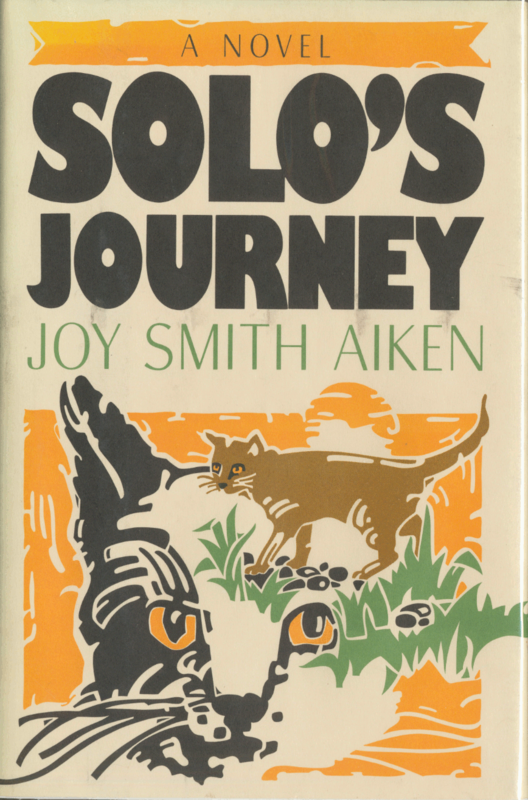 Solo’s Journey is a talking-cat fantasy, in the tradition of Tad Williams’ Tailchaser’s Song and so many others (why are there almost no talking-dog fantasies? ), going back ultimately to Richard Adams’ Watership Down for its “realistic” animal species with a detailed language. G. P. Putnam’s Sons, November 1987, 255 pages, 0-399-13321-6, $17.95. Map by Scot Aiken. By the end of just the first chapter (pages 11 – 25), the story feels like the old nursery tale of “Hot Cockalorum”, with so many nouns replaced by nonsense equivalents that it is almost like a new language. Gypsies are enemy cats; loners or from rival Quorums. 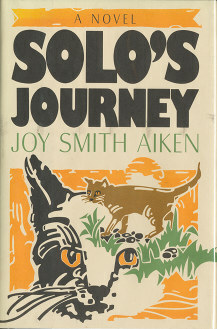 The early part of Solo’s Journey introduces the reader to the politics of his Quorum. The kit was very flattered at the great Spanno showing such an interest in him, and he was feeling taller by the minute. ‘I was just going when you got here, Dom Spanno,’ he answered in a painfully kittenish voice. ‘A simple ‘master’ will do,’ offered Ponder. ‘Okay, ‘Simple Master,’ roared Selwyn. But a constant menace to Quorum life is that of the omnipresent Owners. Sometimes they (or some of them) feed and care for the ferals; at other times they (or others among them) try to kill the ferals. Eventually Solo rises to Dom-hood within the Quorum. And just in time, because the Dwelling gets new Owners who are unfriendly toward the ferals. When the new Owners become unmistakably hostile, Solo realizes that it is time to separate from Owners altogether and become a truly wild Quorum. But you know the saying about herding cats. Solo has to persuade the rest of the Quorum that he is right. And it is a difficult trek with all the Quorum’s young kits. But I am sure that I am not spoiling anything when I say that there is a happy ending. Solo’s Journey is certainly not the only talking-cat fantasy for cat-lovers, but it has enough action and non-cute dialogue to appeal to Furry fans, too.